Flash forward almost four years: Aronofsky had persuaded Chilean director Pablo Larraín to make the movie and, liking his unconventional approach to the film's story of Kennedy's life in the days following her husband's assassination, Portman agreed to star. The catch: Time was tight, leaving Portman just one month to prepare. How do you wrap your head around playing one of the 20th century's most iconic women, particularly when you've never considered portraying real people as part of your skill set? We sat down with Portman not long ago and identified her four-step plan. 1. Get her voice in your head. 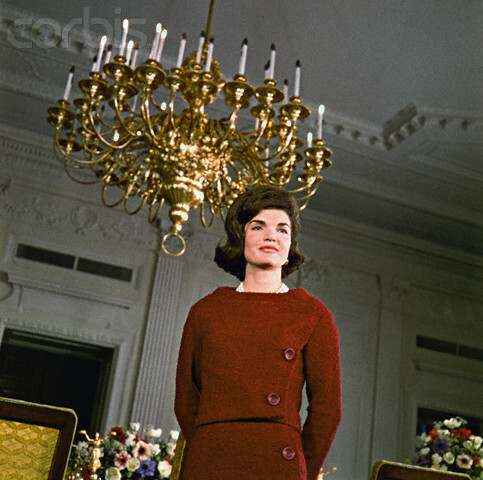 Just as JFK had a distinct r-dropping and sometimes r-adding (you get the idear) Boston accent, Jackie Kennedy had her own breathy, mid-Atlantic thing, a dialect that Portman describes as a mix between high-class finishing school and 20th century Long Island girl. There's a gently descending lilt and an unmistakable encoding of social status. But even though the clock was ticking, Portman, mother to a 5-year-old son and expecting her second child with her husband, choreographer Benjamin Millepied, drew the line at maintaining the accent during off hours. "It's confusing to me when people are like, 'I just stay in character all the time,'" she says. "I can't get away with that with my family. They'd just laugh at me." For her role as Jackie Kennedy, Natalie Portman says, "It's not a fashion story," but the clothes do tell a story. 2. Wig out. Kennedy's beautiful bouffant is instantly recognizable. Portman doesn't particularly resemble Kennedy, but when she put on the wig, she felt an "instant, almost magical transformation." "Any brunette who would put that wig on would resemble her more," she says. "For me, it was always scary to think I could even convince anyone that I'm someone they know so well. But with that wig, as soon as I looked in the mirror, I had more confidence." 3. Try on the "suit that is its own character." When Portman put on the pink suit that Kennedy wore the day her husband was assassinated in Dallas, she said it was almost like "having a sense of foreboding music in a scene that tells you what's going to happen." "When I put it on, I went 'uh-oh' and my heart dropped," she says. 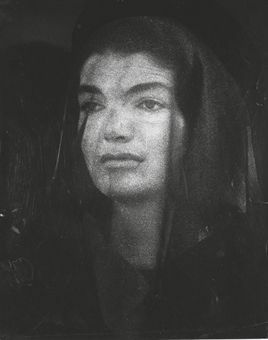 "Jackie" shifts back and forth in time, primarily focusing on the days immediately following JFK's death as Kennedy plans his funeral and attempts to shape her husband's legacy. 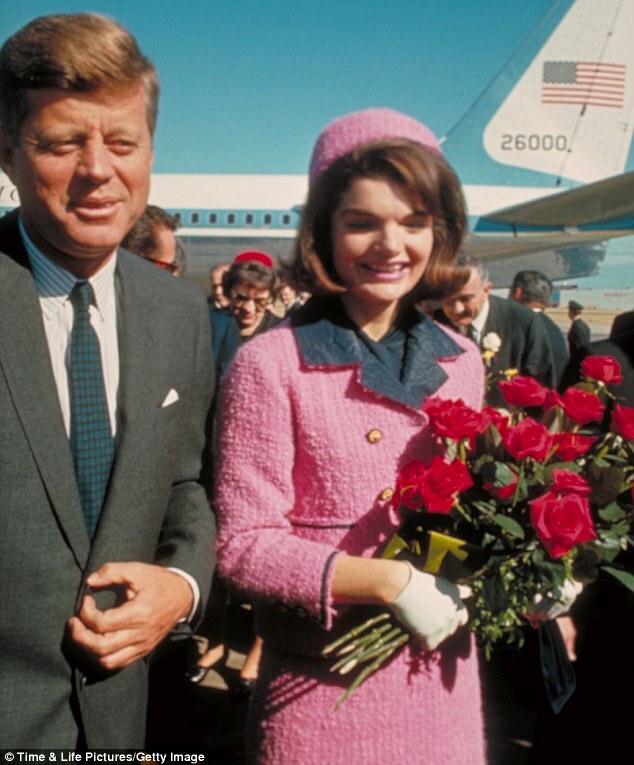 Costume designer Madeline Fontaine re-created numerous dresses that Kennedy wore, including her mourning outfits and the red, two-piece day dress she wore in the 1962 White House tour. But it was the pink suit, soon stained with her husband's blood, that became the crucial piece of clothing for Portman. Kennedy refused to change out of the outfit, saying, "I want them to see what they have done to Jack." Says Portman: "On the one hand, you think, 'Oh my God, why don't you just take it off?' It has to be such a morbid and dirty feeling to be covered in the blood of someone you loved who just died next to you. And she, of course, has this understanding already that her private trauma is also a public trauma and part of the images that will be coming out that are going to tell the story, the horror of what just happened. It's this interesting combination of someone stuck in their own sorrow but also simultaneously creating an image for the world." Jackie Kennedy has been portrayed in films many times. And "Jackie" star Natalie Portman didn’t watch any of them. Instead, she drew inspiration from the woman herself. 4. Contemplate the "mask of grief." Portman read every Kennedy biography, but simply looking at images of her face at her husband's funeral procession really gave her an understanding of the singular kind of mourning she experienced. "I could just look at those photos and it would put me in the place," Portman says. "It's unimaginable what she went through because it was so public, so violent and so unexpected — and so traumatic, personally. I think we forget that, how terrifying it must have been to have happened right next to you. "We've seen the photos and the footage of all this so many times, but I hope the movie makes you consider it in a more personal way," Portman continues. "It still feels very upsetting — and it should."